What can you say to a grieving parent after the loss of their baby? How can you give gentle support? According to the Centers for Disease Control (CDC), over a million pregnancies end in miscarriages or stillbirths each year. 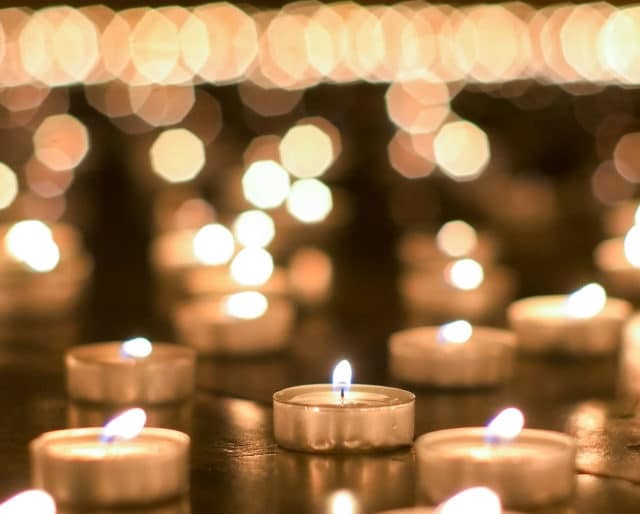 National Pregnancy and Infant Loss Awareness Month has become a safe space for those grieving a loss and others trying to understand and comfort. This October, discover ways to communicate gently and sensitively to grieving parents and anyone suffering the loss of an infant. There are activities and community resources available and closer than you think. Spearheaded by Robyn Bear's group, "Remembering Our Babies," all 50 states have proclamations honoring National Pregnancy and Infant Loss Awareness Day on October 15. The U.S House of Representatives passed a resolution supporting National Pregnancy and Infant Loss Remembrance Day. ​The International Wave of Light turned into an initiative as part of the campaign supporting National Pregnancy and Infant Loss Remembrance Day. People lit candles honoring babies who died — and their families — at exactly 7PM in all time zones. ​Robyn Bear, Lisa Brown and Tammy Novak came together as grieving mothers to strategize on how to secure proclamations of support from every state. Reagan designated National Pregnancy and Infant Loss Awareness Month an annual event taking place each October. Every night in October, light pink and blue candles and place them in your windows. Some communities do candlelight vigils at churches or in parks. The glow of candlelight at night is a beautiful way to remember and honor. October can be a tough month to squeeze in yet another remembrance event. Coordinate with friends and family to develop a press kit and strategies to get the word out about National Pregnancy and Infant Loss Awareness Month. Start small with a neighborhood publication and spread out from there. It's a worthy cause. Assemble your nearest and dearest and scout out trees in neighborhoods and in local parks. Tie pink and blue ribbons as a remembrance. Pass flyers out nearby spelling out why the event is important. Make everything beautiful for the babies. ​Whether you honor it as as day or an entire month, the subject of pregnancy and infant loss awareness is not observed in many non-English speaking countries. ​There are a variety of groups to help parents grieve — including "Currently Pregnant After a Loss," Trying to Conceive After A Loss," and "Living Children Before and After a Loss." ​It's shocking to think that with all the available technology, one in four women will miscarry. ​Australia allows parents to hold funerals or memorial services for babies born under 20 weeks old. After Robyn Bear had six miscarriages, she realized her support system could not fully understand her loss. Eventually, Robyn teamed up with two other women to get proclamations signed supporting a day of remembrance for deceased babies and their grieving parents. The action turned into a political movement. Telling a grieving parent that the baby's death is "God's will" can unwittingly sound insensitive. National Pregnancy and Infant Loss Awareness Month provides resources and teaching tools to help people understand the grief process. More importantly, it guides other family members and supporters through the communication skills that can offer comfort to parents after the devastating loss of a child. Babies die from stillbirths, miscarriages, and SIDS, among other tragedies. Even though the child died in the womb or shortly after birth, the parents may have named and already bonded with the baby. It is not easy to "just get over it." Parents must learn to live with their loss. Supporters must be sensitive to the trauma by understanding that the baby already had a place in the family.